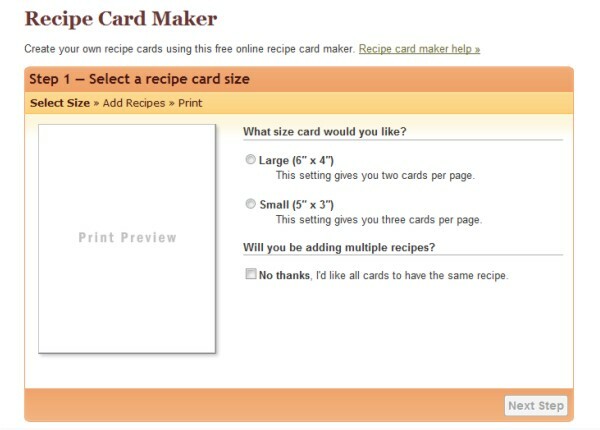 Skiptomylou.com has an online recipe making template. Cute illustrations, just enter the info and presto - you can print your recipe (no chicken scratch in sight) and you've got uniform, neatly typed recipes for Grandma's Jello Salad, etc. My (growing) recipe collection and need (slash craving) for organization thank me. Only problem is... these ideas are good (and oh so appealing), but it's just that many more things to add to my to-do list (sheesh). Ha! Found your blog! Glad I did...I really need to check out BOTH of these sites.